In the preantibiotic era, persons with spina bifida were not expected to survive, because the spinal cord and, thus, the central nervous system are exposed in this disease. Those who did survive had severe handicaps. Debate over whether surgical treatment should be offered or whether the disease should be allowed to take its natural course has been resolved in favor of treatment. The results of withheld treatment are well documented, with most patients dying within the first 6-12 months. Some have viewed the connection between spina bifida and hydrocephalus in a unified sense,  so that spina bifida is considered a consequence of fetal hydrocephalus. Beyond closure, other needed neurosurgical procedures may include shunting for hydrocephalus, including normal pressure hydrocephalus. Many urologic procedures may be required for the neurogenic bladder. Spinal deformity reconstruction may be particularly challenging because of posterior-element deficiencies. These can lead to instrumentation and fusion failures, infection from the neurogenic bladder, and distal ulcers from insensate skin. Anterior procedures are being combined more frequently with the posterior approach to produce a satisfactory fusion. Lower-extremity procedures are necessitated by muscle imbalance forces. These procedures, particularly hip reduction, have been the most controversial. Opinions differ as to whether they aid in seating and ambulation. Gait analysis has been used to analyze specific candidates who possess motor strength in the quadriceps in the range of "good plus" and who also have hip dysplasia or dislocation. Procedures distal to the hip often are similar to those for polio but generally are aimed at maintaining the ability to brace the limb to maximize accessibility and independence. These procedures are directed toward reducing deformity, releasing contractures, and balancing muscle forces from the variable neurologic lesions. For more information on this topic, see Spina Bifida. Pertinent anatomy includes neural innervation, particularly of the lower extremities. Examination of neurologic deficit helps determine the functional level at which the spina bifida cystica lesion has interrupted function. Lumbar region of newborn baby. At birth, two main types of neurologic involvement can be recognized. Type I, which is considered typical, is present in one third of patients in the neonatal period. A certain segmental level is involved, with resulting flaccid paralysis, loss of sensation, and loss of reflexes. In the first subtype, cord function is intact to a certain level, below which a gap is manifested by flaccid paralysis, loss of sensation, and loss of reflexes. More distally, isolated cord function is evident from exaggerated reflex activity. In the second subtype, the gap in cord function is narrow, virtually amounting to a transection. This condition occurs especially in newborns. There is no movement of the lower limb when the infant is crying, but there is a wealth of purely reflexive activity, including flexor withdrawal, which can be elicited by direct stimulation. If transection of the long track is incomplete, the child will have spastic paraplegia with preservation of some voluntary movement and sensation. In up to 5% of patients, a hemimyelomeningocele is present, in which one leg is affected with a type I or II lesion and the other may basically be unaffected. Independent ambulation generally is a function of having an intact quadriceps muscle with good-plus or excellent-plus strength levels. Patients who do not have adequate quadriceps function may require bilateral Lofstrand crutches or may be restricted primarily to a wheelchair. In such cases, reduction of hip dislocation typically has not been advised because the effect on a person who cannot ambulate is not as consequential as it would be upon a person who can (although some hip dislocations may have a significant impact on a patient's ability to sit properly). Additionally, 31% were thoracic (all used wheelchairs), 12% were L1-L3 (all but one used wheelchairs), 33% were L4-L5 (78% used wheelchairs at least part time), and 24% were S1 and below (all walked). Further, 54% experienced decubitus ulcers and, as a consequence, four required major extremity amputations. Spinal fusion protected sitting balance, but hip surgery did not produce congruent hips and occasionally resulted in debilitating stiffness; pressure sores resulted in partial foot amputations despite plantigrade feet. Patients with spina bifida have variable neurologic deficits that characteristically cause deformity as a result of muscle imbalance forces. Unopposed muscle pull can cause spinal deformity, progressive lower-extremity contractures, hip dislocations, and, less commonly, dislocations in other joints. The assessment of the patient with spina bifida should focus on function (ie, accessibility, gait, independence), and treatment should be directed at addressing any deformity that interferes with the patient's potential. When serial follow-up examinations demonstrate worsening function associated with progression of a deformity, surgery should be considered to correct the deformity in combination with release of the deformity and rebalancing of muscle forces around the involved joint as necessary. Because neurologic impairment is associated with most functional problems, any corrective surgery would presuppose a stable neurologic status. In the patient with spina bifida, a tethered cord may represent a changing neurologic situation that would contraindicate any surgical procedures. Scoliosis, most commonly paralytic scoliosis, accounts for about 90% of spinal abnormalities in spina bifida. Paralytic scoliosis is characterized by a single, long curve, midthoracic to sacral, often with pelvic obliquity. Paralytic scoliosis is associated with difficulties balancing when sitting and with ischial pressure sores. Congenital curves may arise at any level and often are associated with vertebral body abnormalities, such as defects of segmentation and formation, as well as mixed defects. Many curves may have associated syringomyelia. Kyphosis of uncommon severity occurs with high-level spina bifida cystica, such that above the T12 level, more than 60% of patients have kyphosis, whereas below that level, only about 10% have a measure of it. Patients with a kyphosis of more than 65° have insidious progression; the extensor muscles become flexors when they migrate to a position anterior to the spinal column and, thus, become a deforming force. Kyphosis is associated with a high level of chronic skin ulcerations, difficulty sitting, and problems with access for urinary diversion. It can also lead to difficulties in obtaining a properly fitted orthosis. Therefore, kyphosis requires surgical treatment. Unfortunately, some deformities exceed the capability of the anterior abdominal wall to stretch and accommodate a correction. Reducing the deformity, using either excision or a kyphectomy, with the vertebral bodies excised or debulked and collapsed down, allows correction through shortening of the spine. Excision is more realistic, as an extremely high incidence of failure is associated with implants. A long fusion is necessary, often with segmental attachment and anterior support because of posterior deficiency of the bone from lack of muscle forces and gravitational stresses. Lordosis is never found at birth, but fixed flexion deformities of the hip and lumboperitoneal shunting have been associated with a significant incidence of hyperlordosis. This may be the result of muscle imbalance, particularly pertaining to the hips, or it may be caused by posterior scarring from other spinal surgery. The problem may require an anterior wedge resection or posterior fusion to prevent interference with ambulation. Paralysis at any level may lead to an imbalance of the extensors of the lower extremity, and dislocation of the hip occurs frequently in patients with spina bifida. The incidence increases as the level of the neurologic lesion ascends. Management has varied from ignoring the dislocation to treating it aggressively, but treatment is generally more aggressive in patients with the potential to ambulate and in those with strong quadriceps muscles. Efforts to reduce the hip in cases of spina bifida require some attempt at muscle balancing to prevent recurrence. In the absence of functioning hip extensors, because their innervation is lower than that of the hip flexors, a posterior-superior dislocation is anticipated. Acetabular dysplasia is seen routinely with disruption of the Shenton line and often with the failure of formation or asymmetry of the ossific nucleus. In addition to the iliopsoas, which has a tendency to cause a valgus deformity, the adductors may be present and innervated at approximately L3 or L4, causing windblown extremities. In fact, as these present very early, a potential for pelvic obliquity exists. In some cases, a pelvic osteotomy has been recommended to level the pelvis. Traditional indications for hip reduction include a potential ambulation with a strong quadriceps, a good range of motion of the hip, and a level pelvis. A progressive dislocation of the hip in a patient who has previously had a stable neurologic status should be investigated, specifically for a tethered cord. If a tethered cord is present, treatment following its release includes the creation of a Staheli-type acetabular shelf, with an external oblique transfer for muscle balancing; this technique has produced good results. Generally, flexion deformities of the knee occur in patients with weak quadriceps muscles, and only one third of patients with flexion contractures of more than 10° can maintain ambulatory status. These contractures should be braced when they progress past 10-20°, and a release procedure should be performed at 20-40°. Hyperextension or recurvatum deformity with limited flexion is associated with a poor prognosis for ambulation, especially when it prevents a normal alignment in a young child. The older child may require a quadricepsplasty or femoral osteotomy, particularly in cases of valgus alignment. The flail foot customarily has no deformity and, for the purpose of function or gravity stress, may be braced to point out at the horizon. The bracing is done early either in a parapodium or in a standing frame, and it is done later in association with other bracing as appropriate. When a varus deformity or equinovarus is noted, it customarily localizes to a neurologic level of L4. This actually is a clubfoot, which usually proves resistant to conservative treatment. A talectomy may be appropriate in children aged 10 years or younger who have a resistant clubfoot. A triple arthrodesis may possibly be performed after that, and in some cases, calcaneocuboid excision or calcaneal osteotomy may be required. The calcaneal valgus deformity, which customarily develops after the patient begins weight bearing, interferes with bracing. In some cases of skeletal maturity, a triple arthrodesis may be required. A calcaneal deformity customarily is localized to lower levels (eg, L5 and S1). If left untreated, it progresses to a bulky, prominent heel that is prone to ulceration. At the L4 level, the anterior tibialis is weak, so an anterior capsulotomy and bracing are appropriate. At the L5 and S1 levels, at muscle strength of grade III or better, posterior transfer of the anterior tibialis to the posteromedial calcaneus along with lengthening of the Achilles tendon and a solid ankle-foot orthosis (AFO) may be satisfactory. A cavus deformity may be associated with a lower neurologic lesion. The lesion is sometimes at S2 and can produce intrinsic tightness, which may respond to a Steindler plantar fascial release from the heel or Dwyer calcaneal osteotomy. At maturity, a triple arthrodesis is very successful. The equinus deformity develops after birth, secondary to gravity. It customarily is treated by lengthening the Achilles tendon. Equinovalgus with either a pes valgus or vertical talus, which occurs in up to 10% of patients, requires talectomy. For older patients, extensor releases and osteotomy on the lengthening Achilles tendon may be appropriate. Patients with myelomeningocele can have several complications, of which fracture is very common; 22% of spina bifida patients have a significant fracture in their lifetime. Fracture may occur in association with a significant surgical procedure, such as hip reduction or spine surgery. During the postoperative period, patients are not upright and have disuse osteoporosis complicating their already present osteopenia. Fracture may occur without pain and often is associated with an elevated temperature and redness, swelling, and warmth in the fracture area. An associated pressure sore sometimes occurs. In some cases, the sedimentation rate and white blood cell count are mildly elevated in reaction to the swelling. In other instances, radiographs reveal marked periosteal elevation and exuberant callus, which occurs because the fracture is adjacent to a Charcot joint. Osteomyelitis and septic arthritis are differential diagnoses. Management includes inspection of the skin in cases of stable fracture, as well as possible immobilization using existing braces (locked on a 24-hour basis) or plaster immobilization. In some cases, open reduction and internal fixation are required for reasonable function. Patients who have had a major surgical procedure are best treated as soon as possible, because early treatment may diminish the fracture rate. A study of patients who underwent hip reduction revealed that placing the patient back in some form of cast or hip-knee-ankle-foot orthosis (HKAFO) brace in an upright position in the immediate postoperative period eliminated fracture; prior to the institution of this postoperative weight bearing, 22% of patients sustained fracture on follow-up. Patients with spina bifida have an increased incidence of sensitivity to latex, which can cause anaphylactic reactions. Anecdotally, the author witnessed an unsuspected reaction during open reduction and internal fixation of a femoral fracture. Although the child undergoing the procedure had had prior operations without incident, upon dissection down to the fracture, anaphylaxis with complete arrest occurred when the author's gloved finger touched the bone. After resuscitation and glove change, the procedure was completed uneventfully. Risk factors for latex sensitivity, beyond having a myelomeningocele, include multiple operations, particularly in the first year of life. The most common source of latex exposure is balloons, followed by latex gloves. Treatment with latex-free materials has been shown to reduce the incidence of reactions; these materials may also diminish sensitization, and they can familiarize the staff with the allergy problem and with substances that may contain latex that would not otherwise be suspected. Adzick NS, Thom EA, Spong CY, et al. A randomized trial of prenatal versus postnatal repair of myelomeningocele. N Engl J Med. 2011 Mar 17. 364(11):993-1004. [Medline]. Danzer E, Gerdes M, Bebbington MW, et al. Lower extremity neuromotor function and short-term ambulatory potential following in utero myelomeningocele surgery. Fetal Diagn Ther. 2009. 25(1):47-53. [Medline]. Fichter MA, Dornseifer U, Henke J, et al. Fetal spina bifida repair--current trends and prospects of intrauterine neurosurgery. Fetal Diagn Ther. 2008. 23(4):271-86. [Medline]. Williams H. A unifying hypothesis for hydrocephalus, Chiari malformation, syringomyelia, anencephaly and spina bifida. Cerebrospinal Fluid Res. 2008 Apr 11. 5:7. [Medline]. [Full Text]. Mercado E, Alman B, Wright JG. Does spinal fusion influence quality of life in neuromuscular scoliosis?. Spine (Phila Pa 1976). 2007 Sep 1. 32(19 Suppl):S120-5. [Medline]. Bruner JP, Tulipan N, Reed G, Davis GH, Bennett K, Luker KS, et al. Intrauterine repair of spina bifida: preoperative predictors of shunt-dependent hydrocephalus. Am J Obstet Gynecol. 2004 May. 190(5):1305-12. [Medline]. Tarcan T, Onol FF, Ilker Y, Simsek F, Ozek M. Does surgical release of secondary spinal cord tethering improve the prognosis of neurogenic bladder in children with myelomeningocele?. J Urol. 2006 Oct. 176(4 Pt 1):1601-6; discussion 1606. [Medline]. Menelaus MB. The Orthopaedic Management of Spina Bifida Cystica. 2nd ed. New York, NY: Churchill Livingston; 1980. Hoffer MM, Feiwell E, Perry R, Perry J, Bonnett C. Functional ambulation in patients with myelomeningocele. J Bone Joint Surg Am. 1973 Jan. 55(1):137-48. [Medline]. Roach JW, Short BF, Saltzman HM. Adult consequences of spina bifida: a cohort study. Clin Orthop Relat Res. 2011 May. 469(5):1246-52. [Medline]. [Full Text]. Park TS, Cail WS, Maggio WM, Mitchell DC. Progressive spasticity and scoliosis in children with myelomeningocele. Radiological investigation and surgical treatment. J Neurosurg. 1985 Mar. 62(3):367-75. [Medline]. Shurtleff DB, Goiney R, Gordon LH, Livermore N. Myelodysplasia: the natural history of kyphosis and scoliosis. A preliminary report. Dev Med Child Neurol Suppl. 1976. 126-33. [Medline]. Cornips EM, Razenberg FG, van Rhijn LW, et al. The lumbosacral angle does not reflect progressive tethered cord syndrome in children with spinal dysraphism. Childs Nerv Syst. 2010 Dec. 26(12):1757-64. [Medline]. [Full Text]. König MA, Boszczyk BM. Limited access surgery for 360 degrees in-situ fusion in a dysraphic patient with high-grade spondylolisthesis. Eur Spine J. 2012 Mar. 21(3):390-5. [Medline]. [Full Text]. Sharrard WJ. Posterior iliopsoas transplantation in the treatment of paralytic dislocationof the hip. J Bone Joint Surg Br. 1964 Aug. 46:426-44. [Medline]. 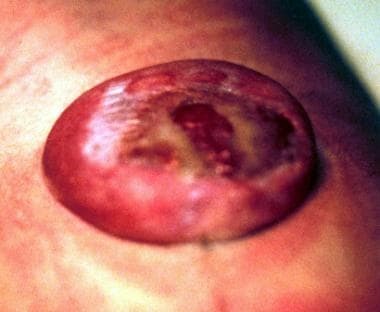 Diaphanous sac filled with cerebrospinal fluid. Disclosure: Serve(d) as a director, officer, partner, employee, advisor, consultant or trustee for: Medtronic, Nuvasive, NLT Spine, RTI, Magellan Health<br/>Received consulting fee from Medtronic for consulting; Received consulting fee from NuVasive for consulting; Received royalty from Nuvasive for consulting; Received consulting fee from K2M for consulting; Received ownership interest from NuVasive for none.